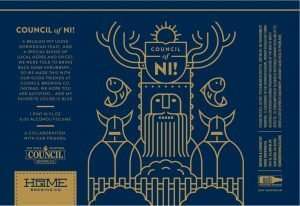 To appease the Council of Ni! 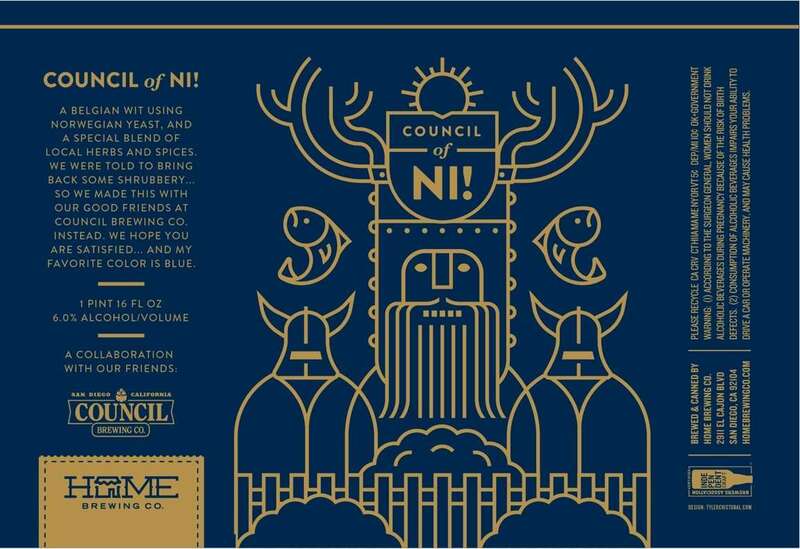 we have partnered up with our lovely friends at Council Brewing Co to make a fun take on the Belgian Wit style. We are using some very cool Norwegian Yeast from Omega Yeast Labs, and we certainly cannot forget the shrubbery! We will be using a delicate amount of elderberry (you, know how your mom smells), and some white sage (because it’s San Diego). We’ll have to watch a movie right? Can you guess which one? Arrive by 6pm to get grab a pint and your 4-Pack of cans, and to get a good view. Test your knowledge of all things that exist on the fringe. Whether it’s fun & quirky, or just… you know. Arrive around 6p to grab a seat and a pint. We’ll have several rounds of good ol’ rando trivia ready for your quizzical pleasure. This is The Marzen of Our Lives…. Join us on the last Friday in March (3/30/18) as we drink delicious beers, watch soap operas, and enjoy some snacks. We love collaborations, and we love taking the time to improve our take on any style. Few people in San Diego have had the opportunity to contemplate the Marzen style than our lovely friend, Doug Hasker. Doug has brewed many a Marzen during his tenure as head brewer for a prominent lager brewery in town. When we sat down to discuss recipe ideas for our monthly collaboration/can release, he mentioned that, given the opportunity, he has a lot of thoughts about what he would do differently with the marzen style. We are excited to share that with you. 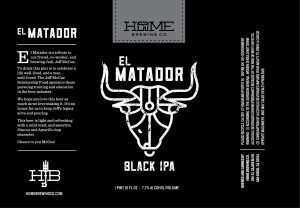 As for the beer: we wanted to brew a beer that showcases high quality German malts, with a hint of floral hop character. We also wanted the beer to finish dry, so that the drinker could enjoy the sweet taste of the richer malt profile, without the beer actually being sweet/sticky (in other words, we love dry, clean finishing, and refreshing lagers). This light amber colored, malt forward beer is everything we could have dreamed of… and so was the opportunity to brainstorm, work(?? ), drink beers, and talk life with our friend. 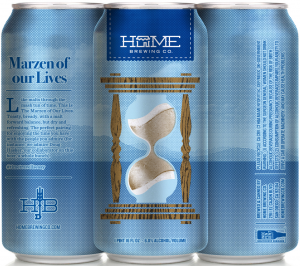 As for the name: we’ve had some wonderful conversations over the years regarding life, time, friendship, the industry, beer styles, etc… We share similar views about many of those things, so we wanted the beer to reflect that somehow. I revel in the opportunity to turn a thoughtful discussion into an irreverent conclusion, so there you have it. Remember that one time the whole block was taped off by the Cops? They were investigating some bad guys. While they opened up a trunk, they pulled out a baseball bat covered in pink glitter…. the Glitter Bat Gang had struck again!! 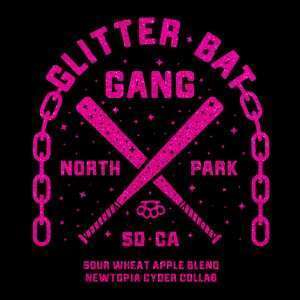 To celebrate those sweet but sour moments, Home Brewing Co. and Newtopia Cyder bring you Glitter Bat Gang. We started with our Gose base beer, and added 49% fresh apple juice from Newtopia Cyder. We allowed the beer/cider mix to ferment all of the way through. The result is a hard cider/beer hybrid that bursts with fresh apple/pear/peach/bready/honey-like aromas, and drinks with a refreshing hint of lactic tartness, and a crisp/dry finish. We think it’s quite delicious, so we’re excited to offer these to you in cans to go for the first time! We’ll keep your stash cold for you. Order Now. Join us as we celebrate our beautifully quirky neighborhood. We’ll be hanging out in our backyard, and enjoying a film. Bring your own snacks and a warm blanket.